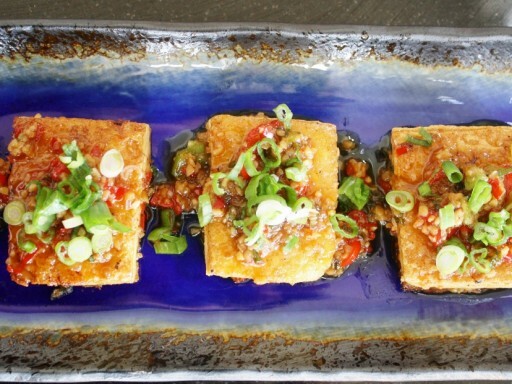 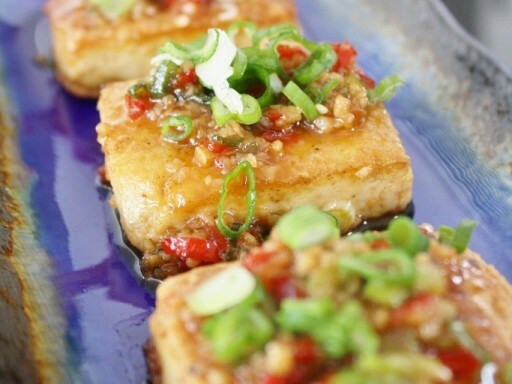 You can make tofu taste great. 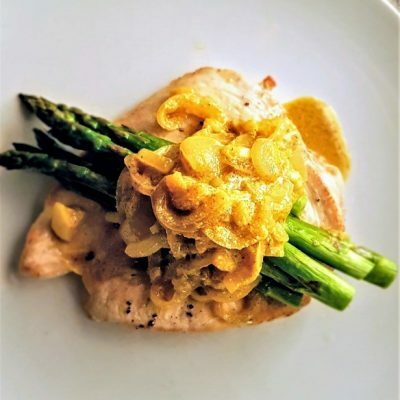 It no more bland than chicken breast you just need to give it some texture and flavor and that is what I did here. 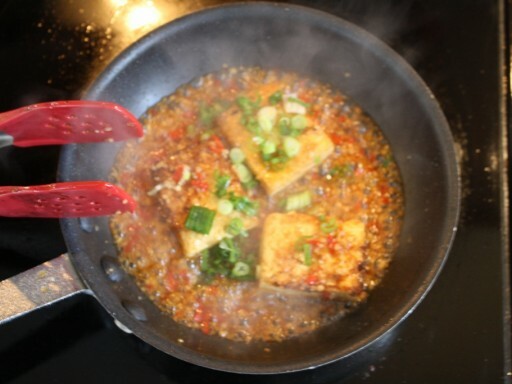 On 26/02/2012 (Sunday) at 4:55 pm by Benny. 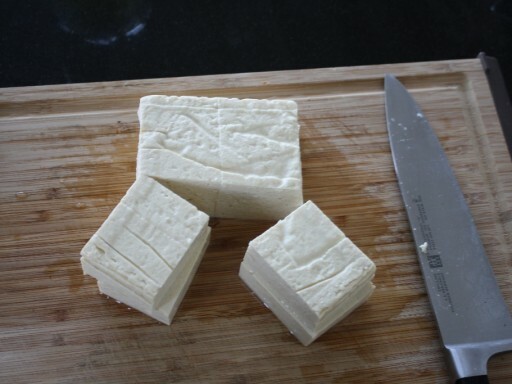 Start with your tofu and cut it in half then in quarters. 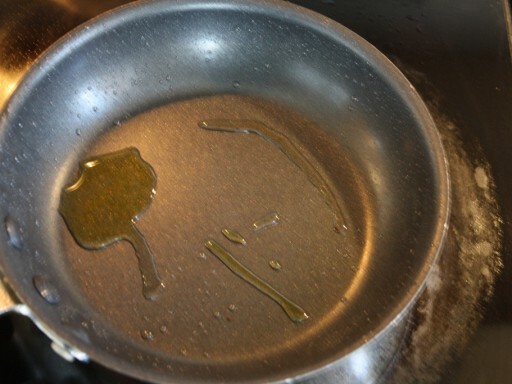 In a hot nonstick pan put a good glug of olive oil and let it come up to where you can see the oil starting to ripple a little that means it nice and hot. 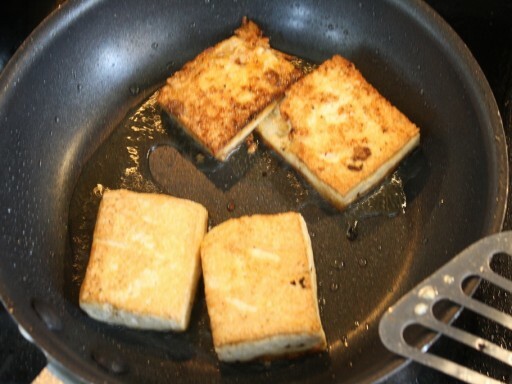 Now put your tofu in and let it fry for about 5 min or so make sure not to crowd them. 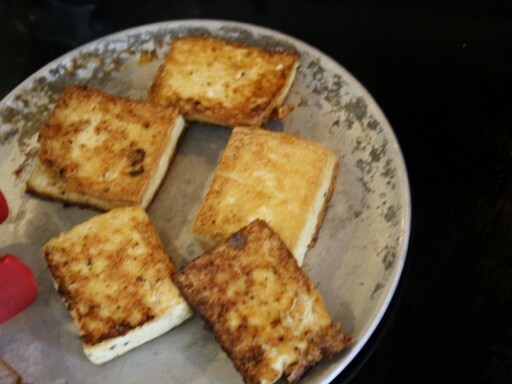 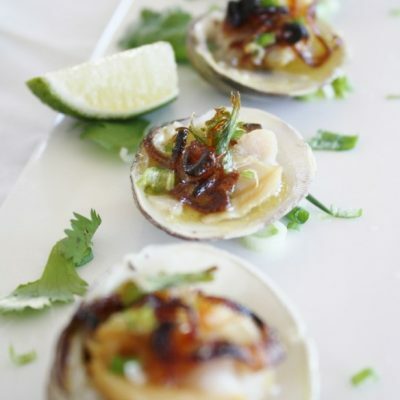 You can check to see if its getting browned and crispy on the bottom then turn over and finish the other side. 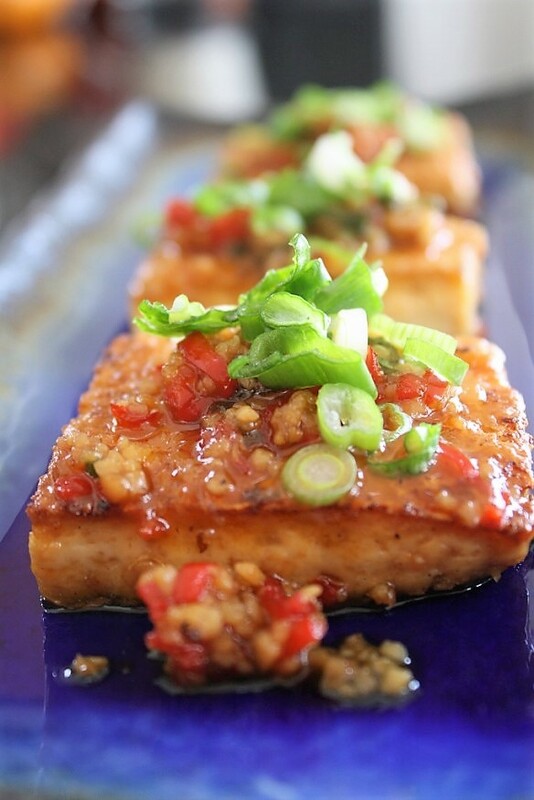 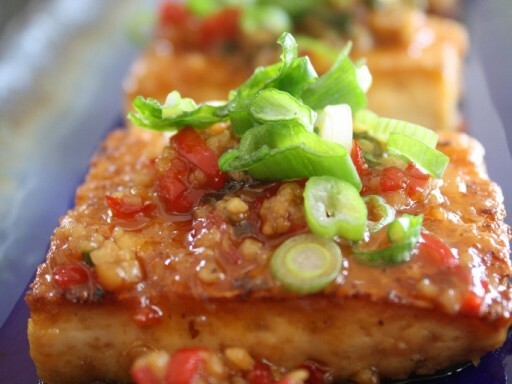 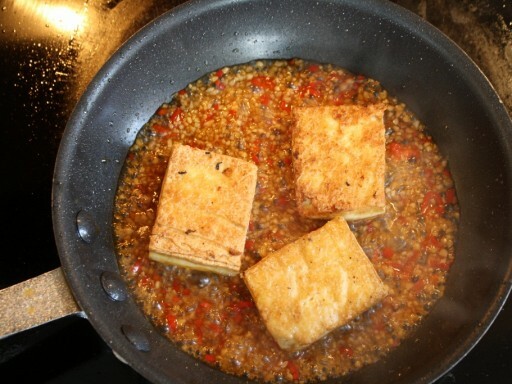 Take the tofu out, drain some of the oil and add your chilies, garlic and soy sauce and cook until getting fragrant. 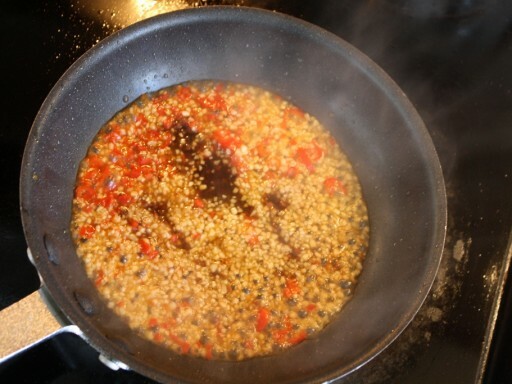 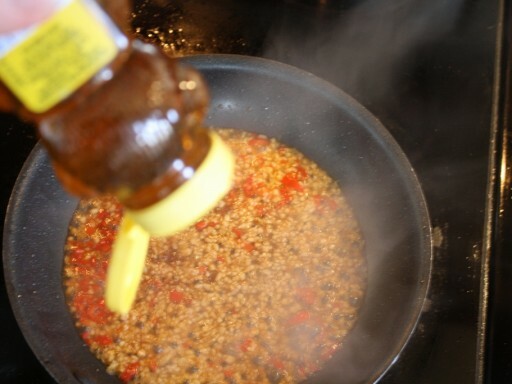 Now add the honey and half the scallions and cook until the honey is bubbling. 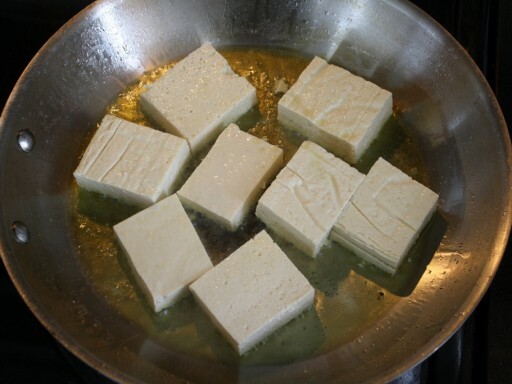 Add back the tofu and cook for another min turning it once. 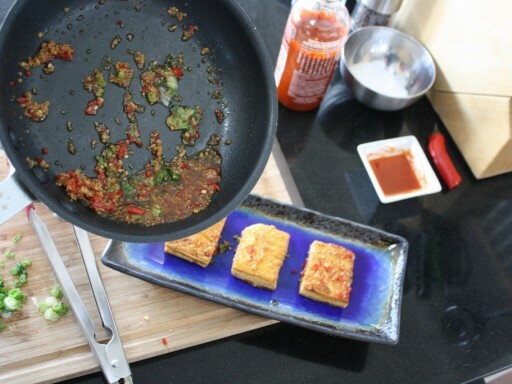 Plate the tofu pour the sauce ontop and finish with the other half of the scallion on top for freshness. 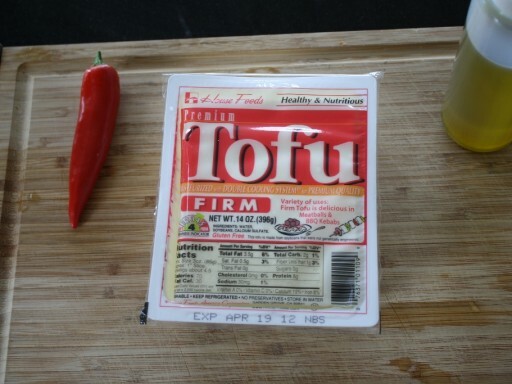 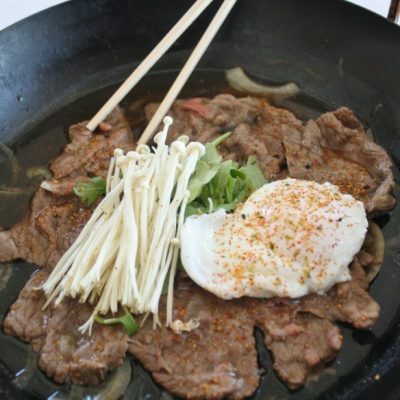 That’s it, Tofu that rocks!